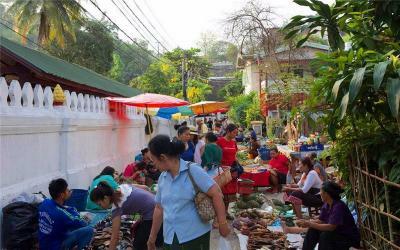 Get up early to observe the Buddhist Alms Giving Ceremony at 5:40am if you like.You will continue to explore the open-air Morning Market in the old town on foot. 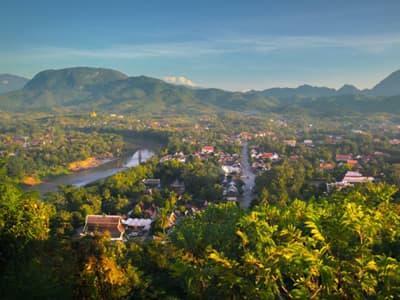 There's only a few large grocery stores here—instead, food is still produced by small farming families and villages and were brought to Luang Prabang for sale from the surrounding rural areas. Your guide will explain some seasonal vegetables and fruits to you and he will also guide you pick some snacks.Return to the hotel for breakfast. A short walk from the market is Wat Mai Suwannaphumaham (“New Monastery”), National Museum (Royal Palace) and Hor Phra Bang. 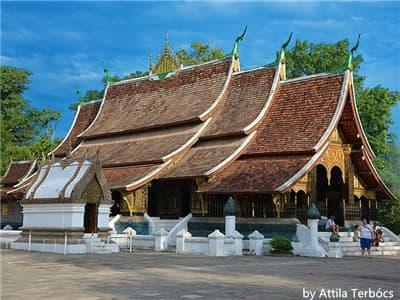 After the visit, continue to Heuan Chan Luang Prabang for a short activity and learn how to make Banana Leaf and Flower. 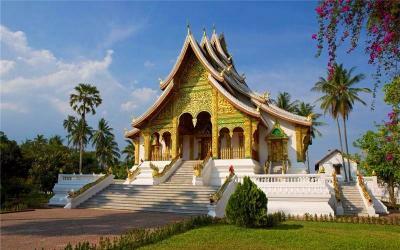 After lunch, continue to Wat Street and visit Wat Sene, Wat Sop Sickharam, Wat Sibounheuang and Wat Xieng Thong. 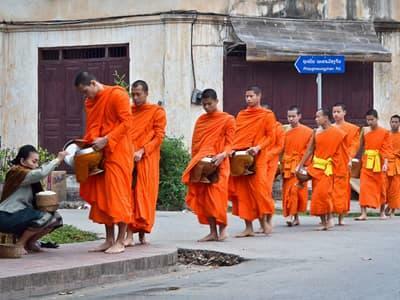 You will finally walk along the Nam Khan River towards Mount Phousi before return to hotel. 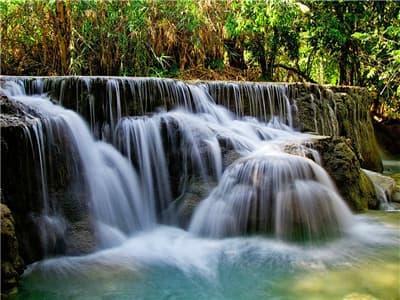 Today your private guide and driver will take you to visit the beautiful Tad Kuang Si Waterfall.You will have the opportunity to visit Hmong and Khamu villages on the way. 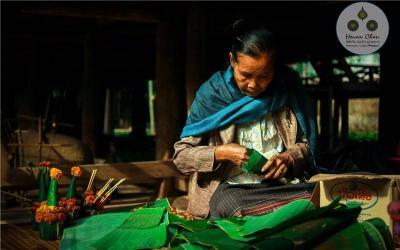 Hmong and Khamu villages have different structures and ways of life; here, you can learn about their traditions and the differences between Lao, Khamu and Hmong culture.Then drive to the wonderful Tad Kuang Si Waterfall,where you can splash around in the turquoise pools or wander around in the forest trails. Free at leisure before being escorted to the airport for your departure flight. Our experience was positive even during the booking process as Diana was very helpful in finalizing our itinerary and in answering all questions regarding cost and scheduling. Our local guide Kevin was informative and patient and I would highly recommend this company to anyone looking for an authentic and professional experience. Our group of three families (6 adults and 2 teens) had a fantastic visit to the must-see attractions. 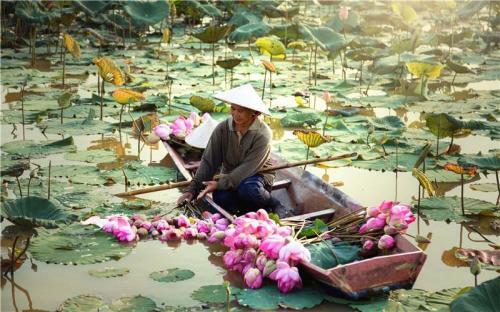 We definitely highly recommend to use UMETravel every time you want to see SE Asia at best. Thank you Aileen and Jack again for such a great day and such lasting memories! 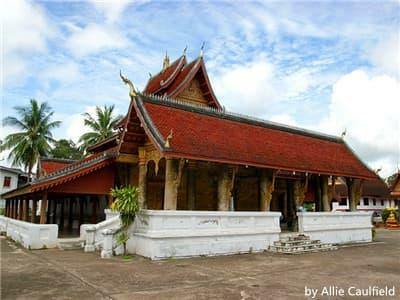 One of the best informative tours I've ever been in Laos. All tour is about different cultures, religion and architecture. 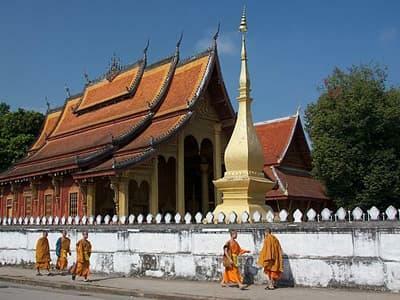 Would highly recommend any group who wants to know about Laos culture & religion.